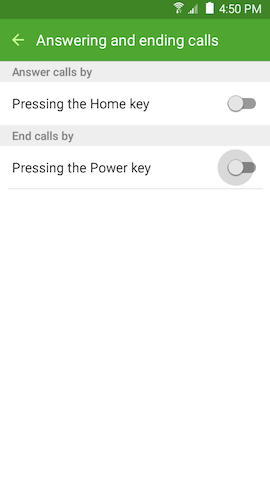 You can use keys on your device instead of the touchscreen to answer and end calls. 3. Touch MORE > Settings. 4. 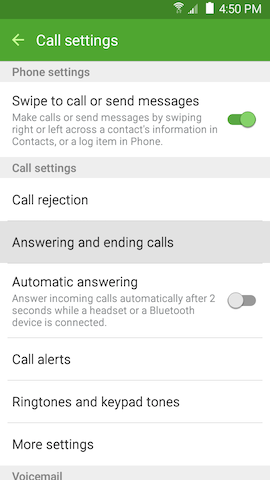 Touch Answering and ending calls. 5. 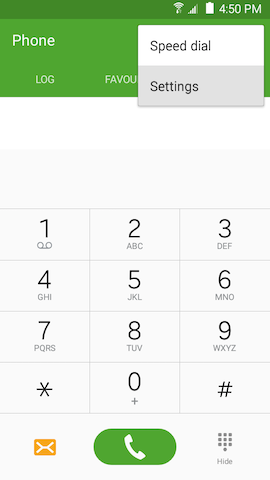 Touch the slider next to Pressing the Home key to turn it on to answer calls using the Home key. 5. 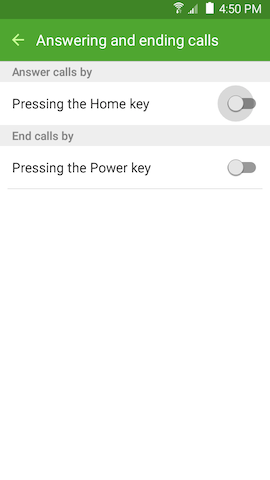 Touch the slider next to Pressing the Power key to turn it on to end calls using the Power/Lock key on the side of the device. Grand Prime: How do I set up and use speed dials on my Samsung Galaxy Grand Prime? How do I assign a vibration pattern to a contact on my Galaxy Grand Prime?